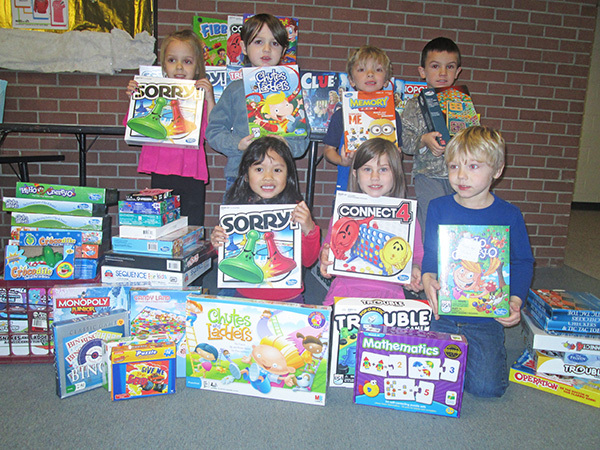 For the past few weeks, numerous Kindergarten classes at Cedar Trails did a “Games for Tots” drive and collected over 100 games, which were dropped off here at the Cedar Springs Post this week. The following classes participated: Mrs. Bellamy, Ms. Birdsong, Mrs. Burns, Mrs. Dault, Mrs. Debri, Mrs. Matthew, Mrs. Schipper, and Mrs. Wolfe. Way to go Cedar Trails Kindergartners! It’s not too late to drop off your toys! You can still drop them off here at the Post on Friday, December 15 from 10 a.m. to 2 p.m. We are located at 36 E. Maple Street. Our boxes will be picked up sometime during the day on Monday, December 18. Please bag your toys if possible. 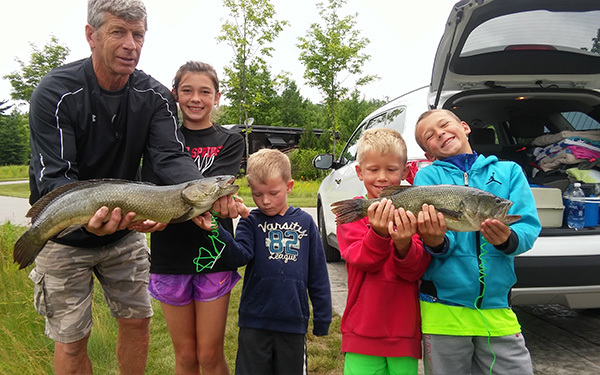 It was a team effort for the four kids to bring in the 27.5-inch dogfish and 18.5-inch bass. Sienna and Eli Wolfe and Lincoln and Jaxson Trolla had to take turns fighting the fish to land while recently camping in Empire. Grandpa Wolfe was on hand to keep them calm. Congratulations to Sienna, Eli, Lincoln, and Jaxson for a great Catch of the Week! It’s back—get out those cameras! It’s that time of year again when anglers big and small like to tell their fish tales! Send us a photo and story of your first, best, funniest, biggest, or even your smallest catch. Include your name, age, address, and phone number, along with the type and size of fish, and where caught. We can’t wait to hear from you! Photos published as space allows. Photos/stories may be sent by email to news@cedarspringspost.com with Catch of the Week in the subject line, or mail to: Catch of the Week, PO Box 370, Cedar Springs, MI 49319. Katie (Wolfe) and Joe Trolla announce the arrival of their son Lincoln Eugene Trolla born on July 2, 2011 at 3:51 pm in Troy, Michigan. He weighed 5 pounds 15 ounces and was 19.5 inches tall. Grandparents are Tim and Sue Wolfe and Butch and Sue Trolla. Great-grandparents are Shirley Hart and Roger Larsen, Ralph and Virginia Wolfe, and the late Glenn Waite. I want to thank all who sent cards or came for my 90th Birthday, and for my family for making it a special day. Mark your calendars now for a special event called “En-Gedi – Come Be Refreshed” on Friday, May 13 at 7 pm in the Cedar Springs High School. This event will serve as an opportunity to learn more about the En-Gedi youth center and earn much needed funding for this mission. A free Dessert Buffet/Cook-off with 15 area licensed caterers and area restaurants to be selected to provide an assortment of desserts. Attendees will vote for their favorite dessert. Local musicians are currently being interviewed for Christian music in the auditorium. The hallways will be lined with silent auction surprises. A 30-minute window will allow participants an opportunity to bid on items such as an autographed MSU basketball by Coach Tom Izzo, a guided turkey hunt by CTA’s Dan George, a one-night stay at W.W. Lodge, a spring lawn clean-up, golf packages, salon services, auto repairs, a desktop computer, and many more special items. Donations for the silent auction are still needed. No donation is too large or too small. The event will also provide an opportunity to “Support a Student” with a cash donation as well as a challenge to areas businesses to match the money earned in the silent auction. En-Gedi is hoping to raise about $10,000 and secure 25 volunteers during this first-ever event. It will be an opportunity to meet some of the young people attending En-Gedi and hear their story first hand. Sue Wolfe will gladly pick up your donations if you call her at 696-2246, or you can mail it to 15290 Tisdel Ave, Cedar Springs. Or you can stop in and check out En-Gedi at Red Hawk Elementary on Monday through Thursday from 2:15-5 p.m. and see for yourself what is happening. Volunteers are greatly needed one day a month or one day a week to just hang out at En-Gedi and serve as an adult who cares, while watching over the students. 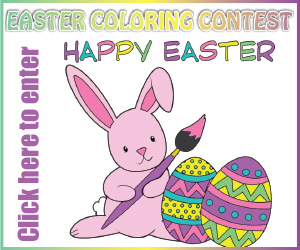 En-Gedi’s website is www.En-GediYouthCenter.com or e-mail SueQ@hughes.net or EnGediYouthCenter@gmail.com.